Astral People, Handsome Tours and Whatslively are thrilled to announce the return of South London’s grime emcee and producer Dave for an Australian East Coast tour, off the back of the success of last year’s sold out debut shows. Dubbed ‘one of the most thoughtful, moving and necessary albums of 2019’ by The Independent, a ‘masterpiece’ by the NME, and ‘the boldest and best British rap album in a generation’ by The Guardian, Psychodrama has since earnt a slew of 5 star reviews and international critical acclaim. Dave’s meteoric rise to the top has been characterised by a series of boundary-breaking moments; from Drake remixing early single ‘Wanna Know’ in 2016 to becoming the youngest recipient of an Ivor Novello Award for his 7-minute politically charged 2017 track ‘Question Time’, to his street anthem ‘Funky Friday’ debuting at No.1 on the Official Singles Chart - the only British artist to do so in 2018. 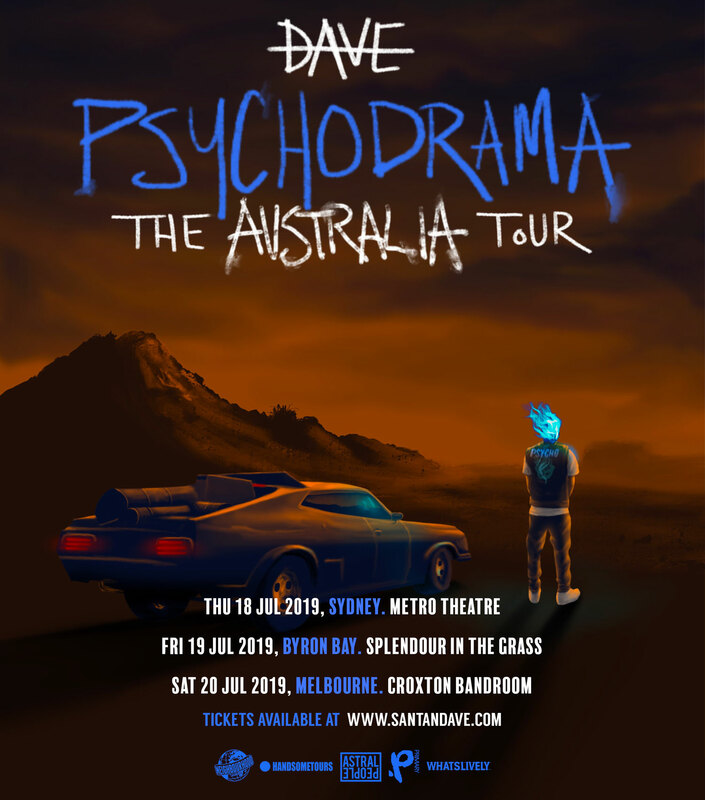 2019 sees Dave embark on a year long international ‘Psychodrama Tour’, including three performances in Australia.